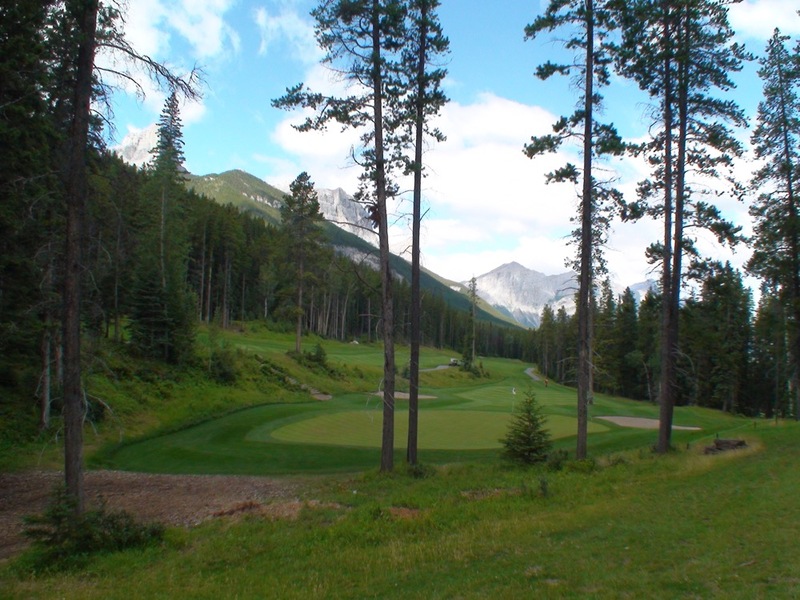 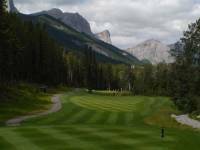 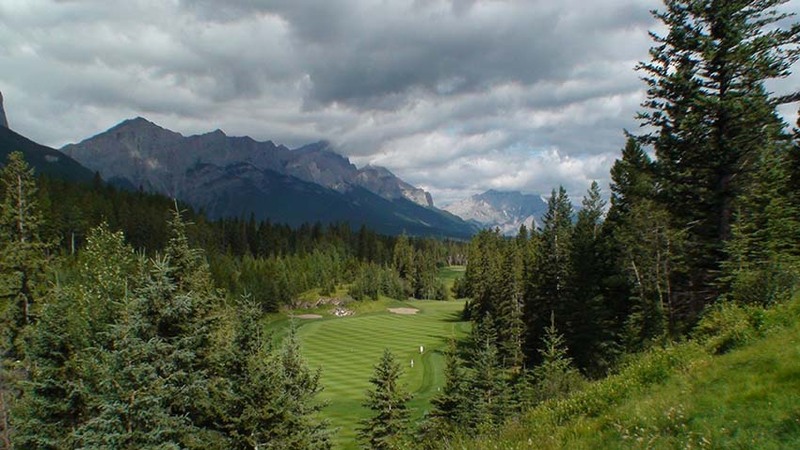 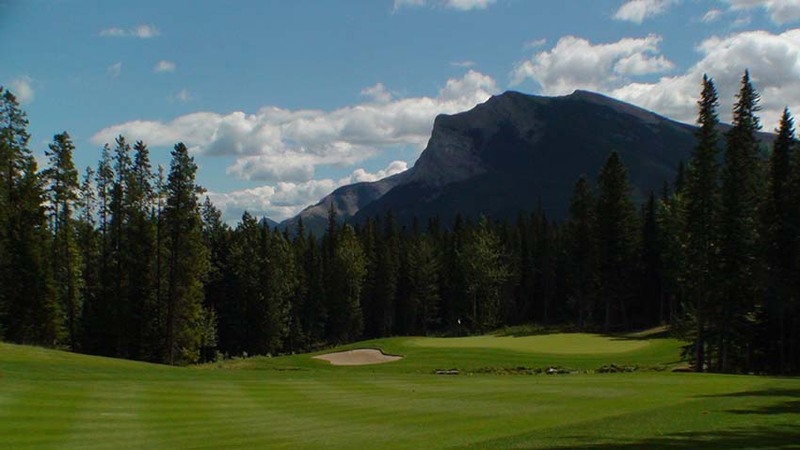 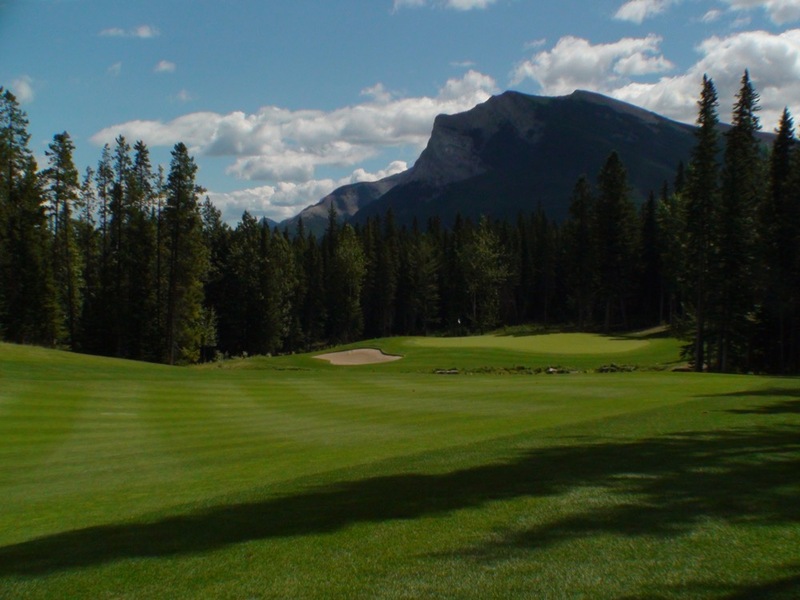 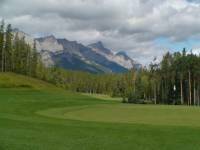 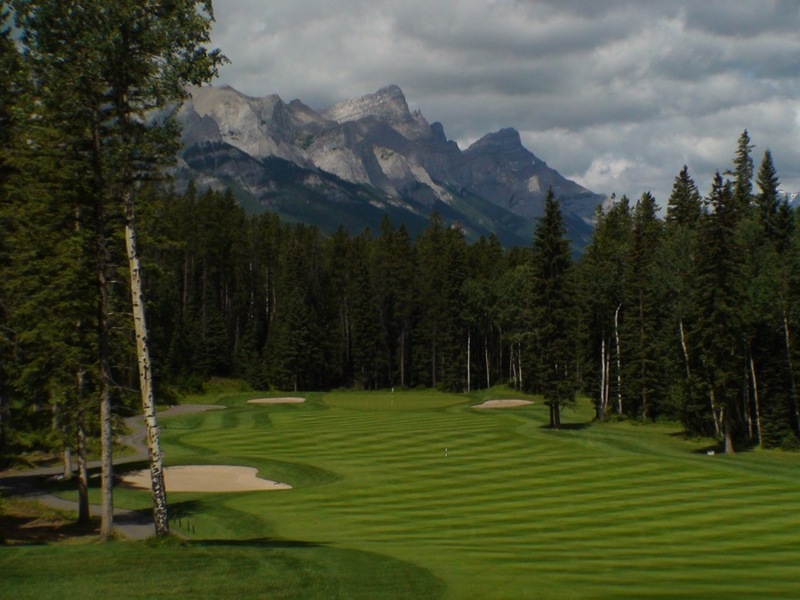 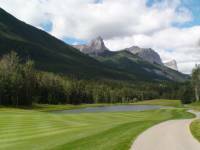 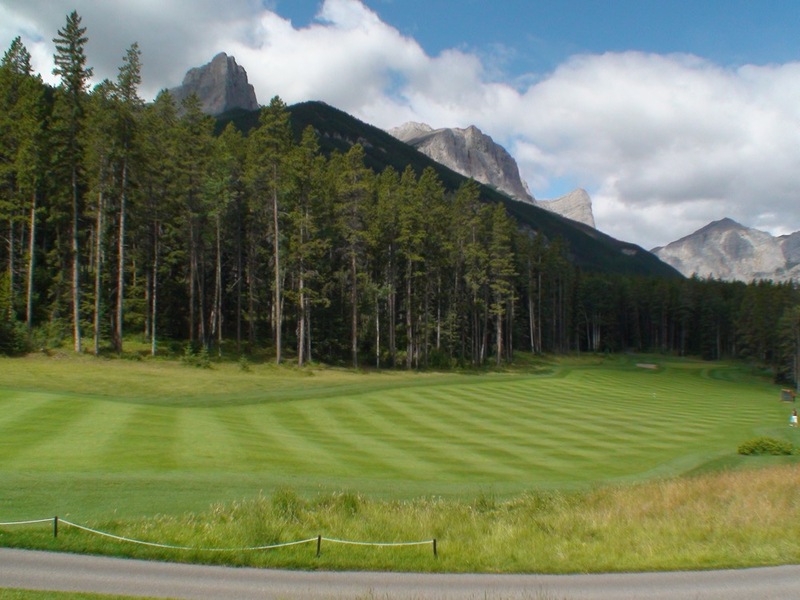 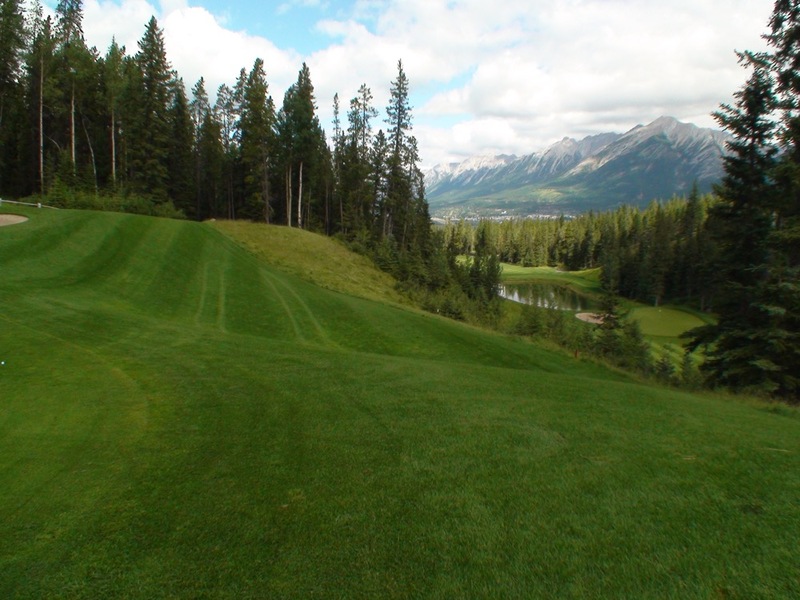 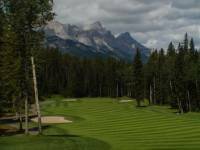 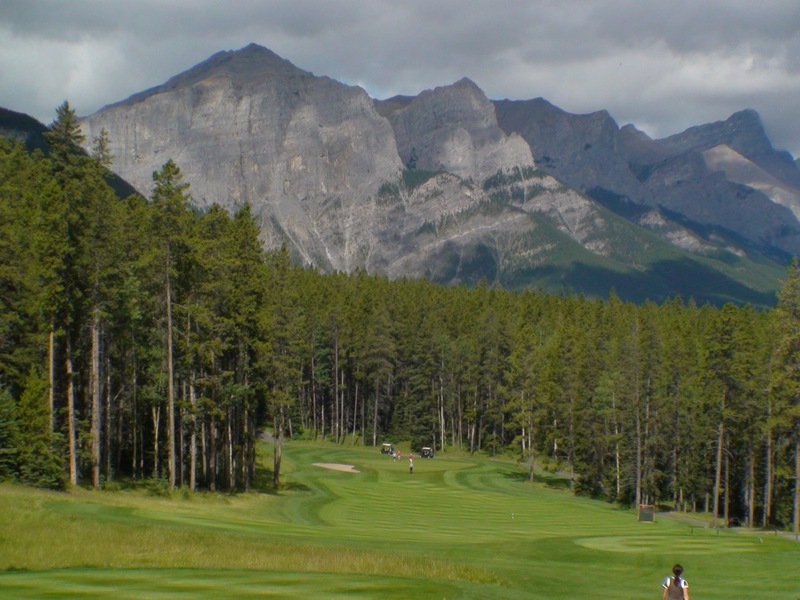 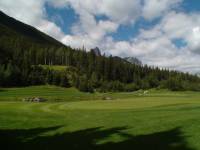 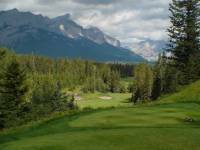 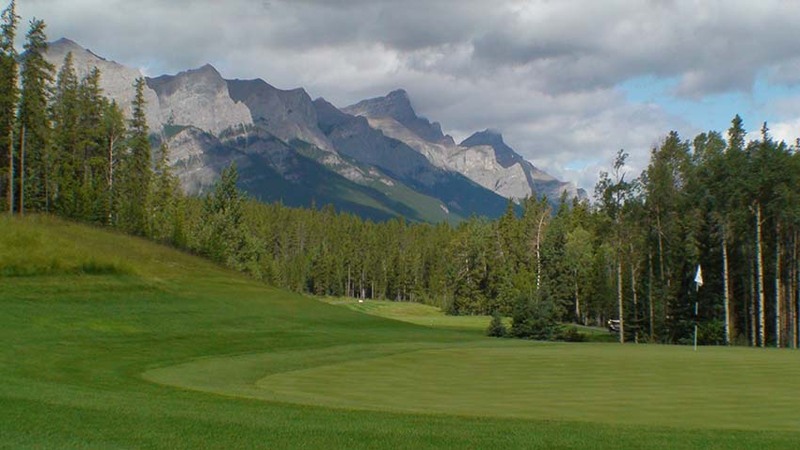 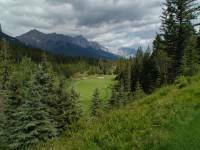 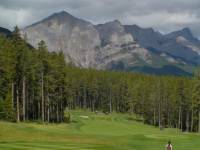 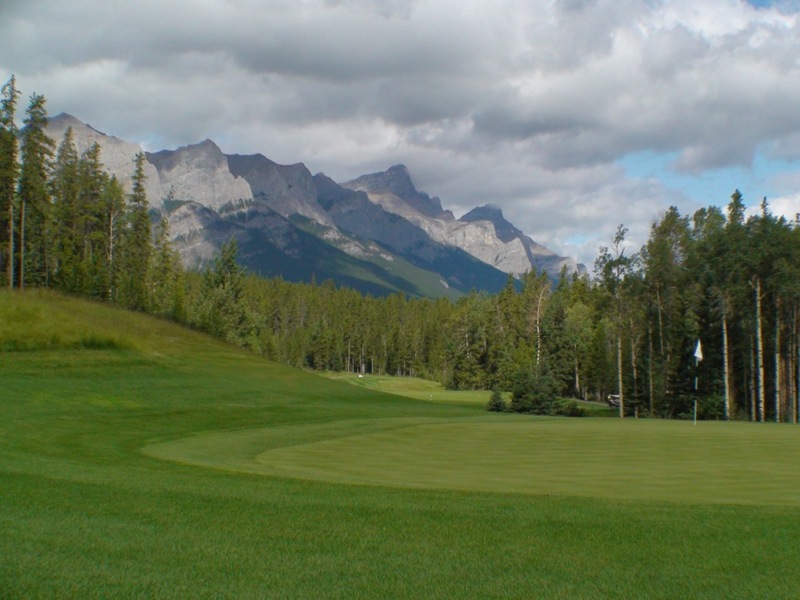 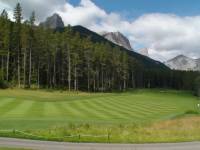 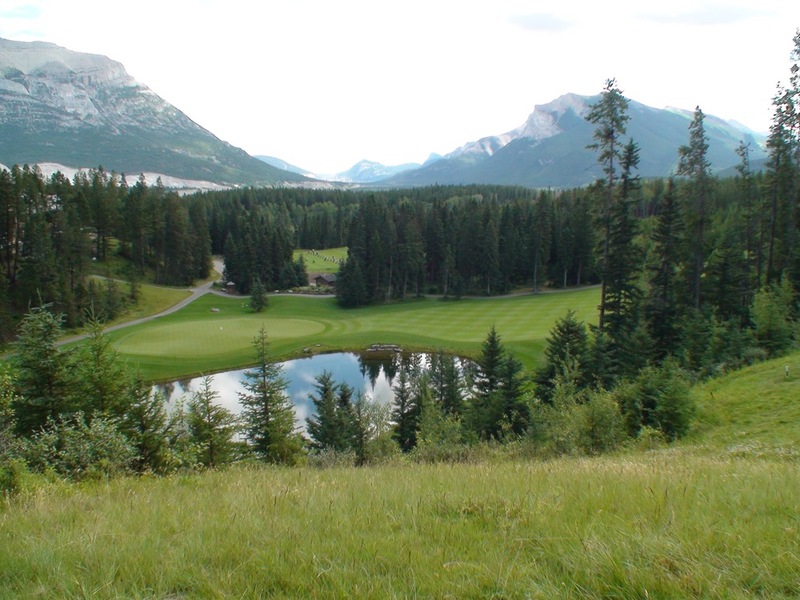 Stewart Creek Golf and Country Club in Canmore Alberta is a semi-private club that welcomes visitors to its hybrid-of-a-course, where you can play “Mountain golf” while still looking up at some of the most spectacular peaks in the Canadian Rockies! Stew-art Creek Golf and Country Club is a bit lower on the mountainside than nearby Silvertip and this affords visiting golfers some memorable views of the “Three Sisters”—Cascade, Pigeon, and Ha Ling Mountains. 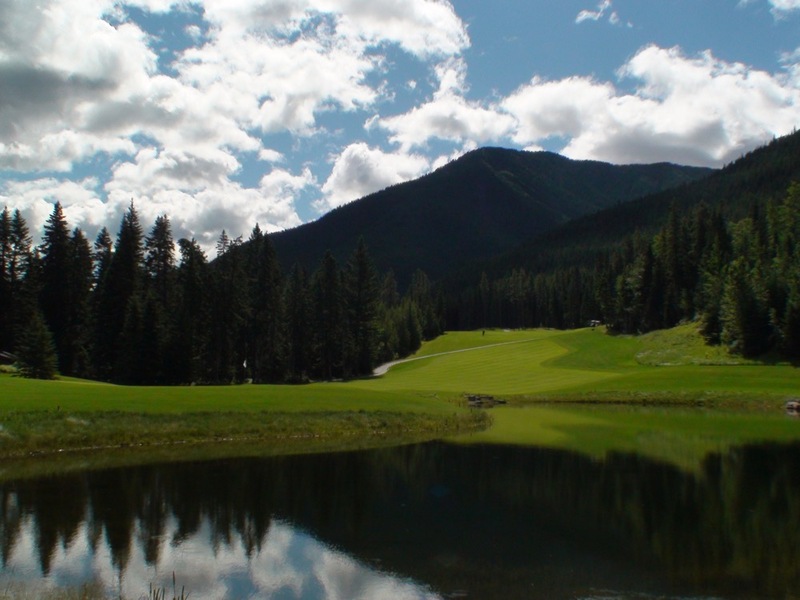 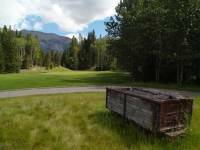 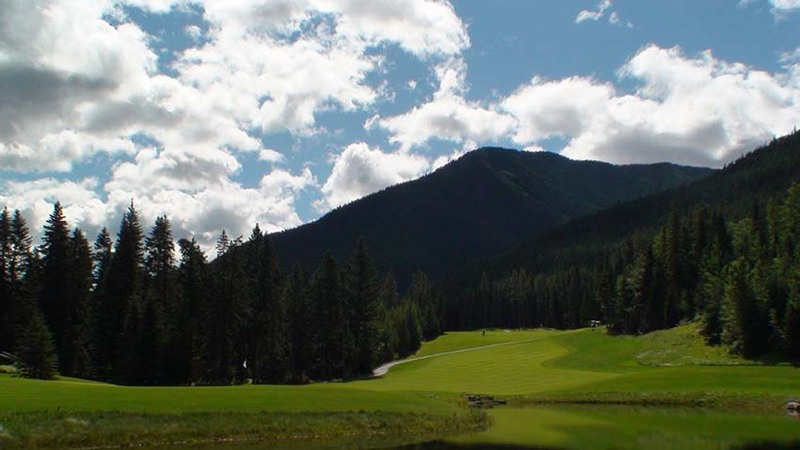 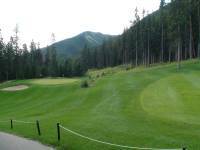 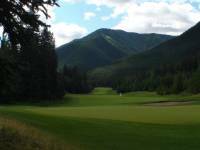 But Stewart Creek is plenty high enough for exciting mountain golf and elevation changes and the combination of the challenge and the views has kept Stewart Creek Golf and Country Club rated highly among Canada’s finest golf experiences ever since its inception in the year 2000. 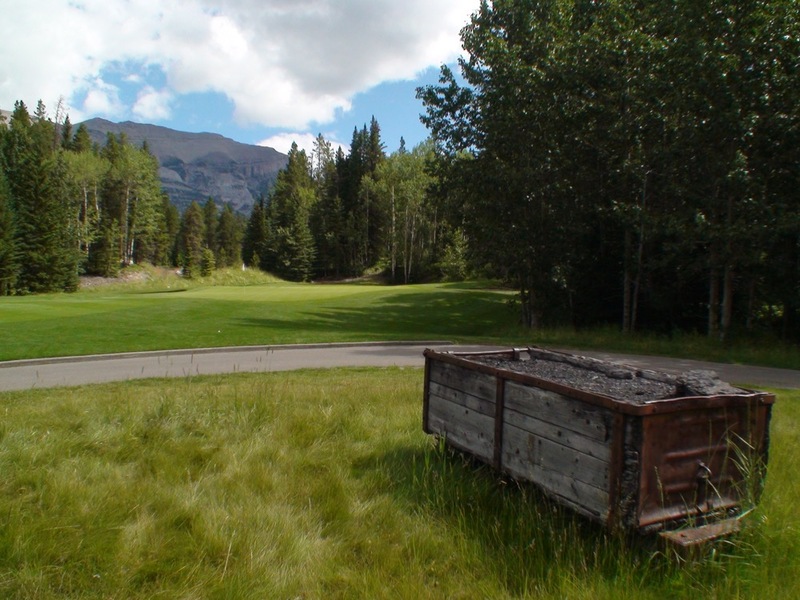 Remnants of an old mine are visible throughout the property and indeed the odd coal car can be seen in some odd places throughout the round. 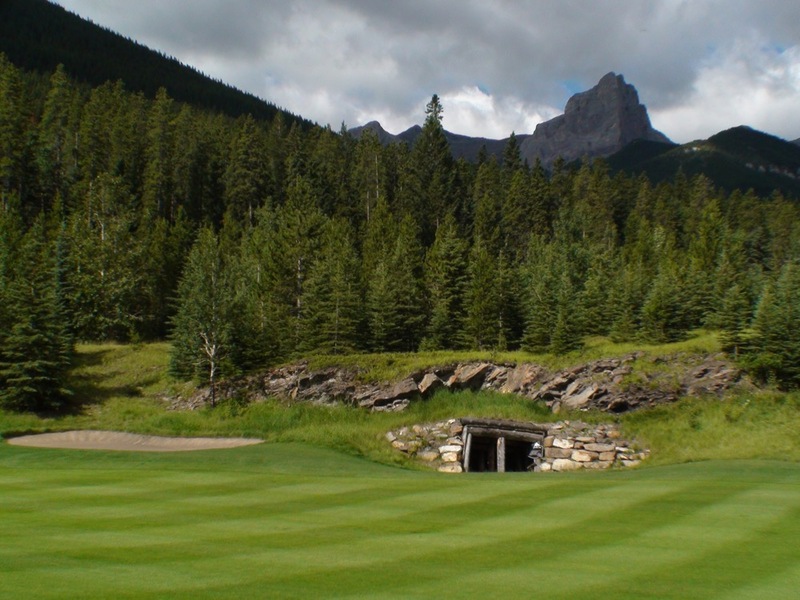 With a clubhouse worthy of one of the best private clubs in the area, Stewart Creek Golf and Country Club is a must to include on your visit to the Canadian Rockies! 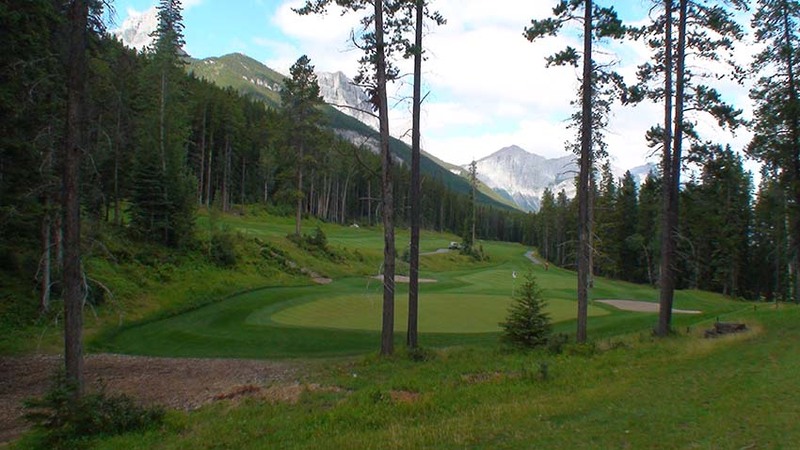 "I would DEFINITELY RECOMMEND Hidden Links to friends!"